Texas Saltwater Fishing Guides Link. 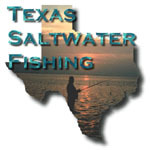 The top saltwater Bay, Surf and Wade fishing guides the Texas Gulf Coast has to offer. Information on guides in the Texas upper, middle and lower coastal areas, as well as prices, restaurants, lodging and accommodations in and around the Texas Gulf Coast area.